This June, The Story Collider will bring together both patients and doctors to share their true, personal stories about abortion. This is not a political event, so these will not be speeches. Instead, our guests will share firsthand experiences that cross both generations and borders, and are crucial to our understanding of women's health. A doctor faces accusations of providing abortions in a country where it's illegal. A woman faces difficult decisions when she discovers she's pregnant just as she's diagnosed with breast cancer. A conversation between a mother and daughter takes an unexpected turn. Join us on June 5 for these stories and more. Hosted by Erin Barker and Paula Croxson. Doors at 7:30pm. Molly Gaebe is a comedian living in NYC where she writes for Lady Parts Justice League, a reproductive rights organization that uses comedy to expose anti-choice extremist douchebags. 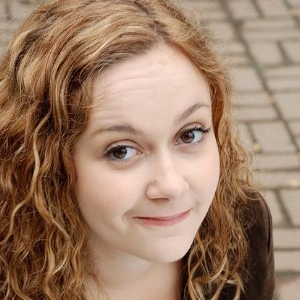 She can be seen performing every Saturday with her house team Women and Men at the Upright Citizens Brigade Theater. Molly is an abortion and birth doula with The Doula Project, and a member of the sketch team Buzz Off, Lucille (buzzofflucille.com). A psychic once told her to look at the moon every month and demand "love and money" from it, so she does that too. Find more info at www.mollygaebe.net. Dr. Rasha Khoury is a Palestinian woman who works as an emergency obstetrician with Doctors Without Borders (Medecins Sans Frontieres -MSF) and is a fellow in Maternal Fetal Medicine at Montefiore Medical Center in the Bronx, NY. Dr. Khoury’s clinical work and research centers around reducing maternal morbidity and mortality by improving access to high quality, dignified and safe abortion and contraceptive care, antepartum, delivery, and postpartum care among vulnerable populations (including women of color, women living in poverty, and women enduring displacement and war). Her work as a humanitarian medical aid worker has taken her to Afghanistan, Iraq, Lebanon, Cote d’Ivoire, and Sierra Leone. Jacey Powers is an actress and a writer, a stand-up and a storyteller. Jacey started acting at the age of five, when she appeared in the classic drama, The Chicken and the Man. She played the chicken. Her only line was “Cluck, cluck, cluck.” In the end the man ate her. Since then she has been seen performing off-Broadway and regionally. Some favorites include Our Town (Barrow Street Theatre), Falling (Minetta Lane Theatre) and Band Geeks! (Goodspeed Opera Company). She played the lead role in Picking Up (DR2 Theatre), which she also wrote. Her newest play, Not About The Cat had a reading in NYC last summer. It featured Kathryn Erbe, John Pankow and Deidre Lovejoy. As a stand-up she’s been seen at The Comedy Cellar/Village Underground, Stand-Up NY, Broadway Comedy Club, Dangerfield’s and more. She delivered the opening speech at the final Avon 39 Walk to End Breast cancer this past fall, and her story: “Army of Women,” aired on NPR last spring. She is a graduate of NYU and believes Nutella is the way to world peace. Tracey Segarra launched her career in NYC as a reporter and editor for local newspapers and national wire services, interviewing assorted politicians, celebrities and criminals. But now all she wants to do is tell stories to strangers about her own life. She has appeared on the Story Collider and Risk! live shows and podcasts, the Moth Radio Hour on NPR and is the host of her own storytelling show based on Long Island, "Now You're Talking!"